The origins of ice cream are both mythical and abstract, including legends attributing the invention of ice cream to the Chinese during the Tang Dynasty. 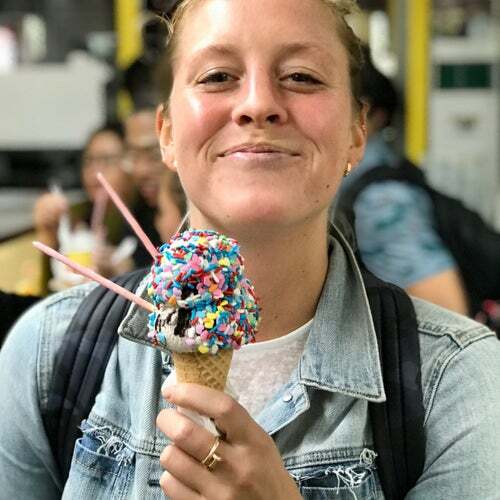 Despite its unclearbeginnings, the Chinatown Ice Cream Factory (CICF) has made ice cream a tangible and undeniably delicious reality! By coalescing American's most popular dessert with an exotic Chinese twist, Philip Seid demonstrates a unique entrepreneurship in establishing CICF. Many unusual and familiar flavors available daily from a very friendly staff. Taste a few first then decide.